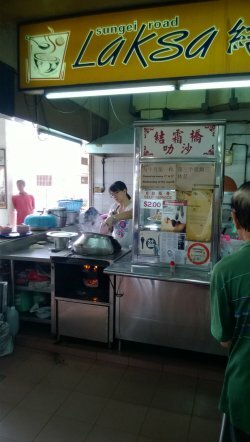 For $2, you can eat a bowl of laksa with so many cockles and fish cake, it is cheap and good. their laksa reminds me of my primary school days, it is not thick but just ok, very fresh laksa gravy, their chilli is just nice, not so spicy, i like the gravy which is not so thick yet fragrant, there is a long queue for this stall but they are fast as there is only one kind of beehoon with only $2 or $3 range, depend on the portion you want to eat. Use spoon to eat this laksa, no chopsticks will be provided.